Families searching for the perfect getaway this Spring Break will be carefully checking their wish list: Can adventure-loving teens be entertained? Is there a safe setting for little ones on the move? Will there be enough fun for energetic children, and can mom and dad enjoy time out in luxury? It’s a challenging check-list to keep everyone happy, without compromising on quality. For nature-loving families, the wild beauty of the Florida Keys provides a perfect playground for all ages. Weather in March and April is beautifully warm to explore the natural wonders of the island chain, in and out of the sparkling waters. 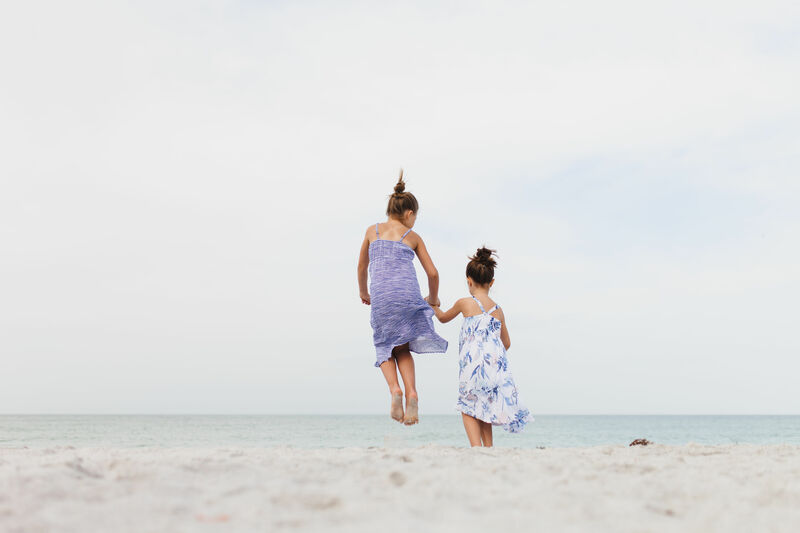 View our special offers to plan your family escape, today. 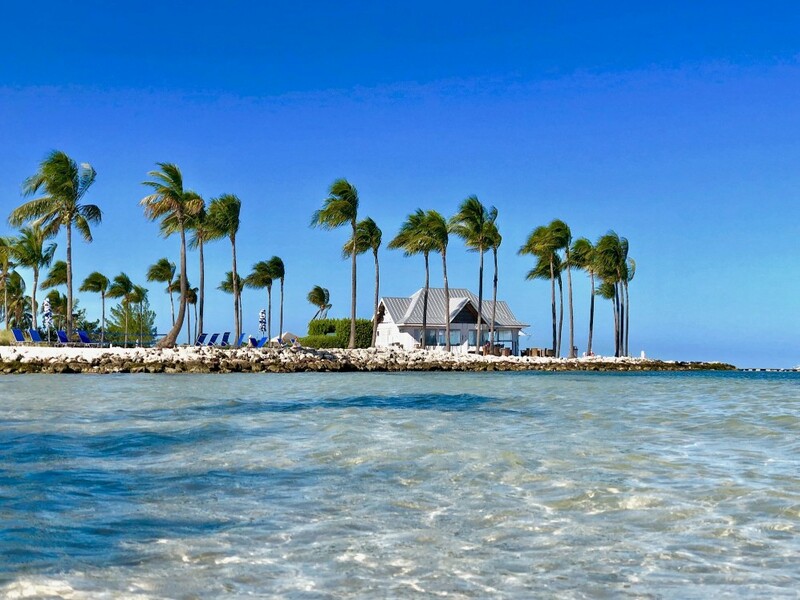 An hour’s drive from Key West, Marathon in the Middle Keys is not known as a “party town,” making it an ideal family-friendly choice. At Tranquility Bay Resort, the focus on time together can be felt on arrival, with a warm welcome to set the tone. Wake up on the waterfront in a spacious Beach House, the ultimate home away from home. If you want to travel lightly, baby-friendly amenities can be rented nearby in advance, including a Pack ‘N Play and highchair. Open the doors to your private porch, soak in the morning sun, and treat your little one to the soft touch of our white sand beach just steps away. Stay safe in the shade of our towering palms, build castles, and dip your toes in the subtropical sea of our shallow swimming beach. Crawlers will especially love zooming along our putting green in the morning before the rest of the resort wakes up. Head to the heated lagoon-style pool along pretty palm-lined paths and look out for our friendly locals along the way: Iguanas are often spotted sunning themselves among the trees, while hawks and pelicans glide above. 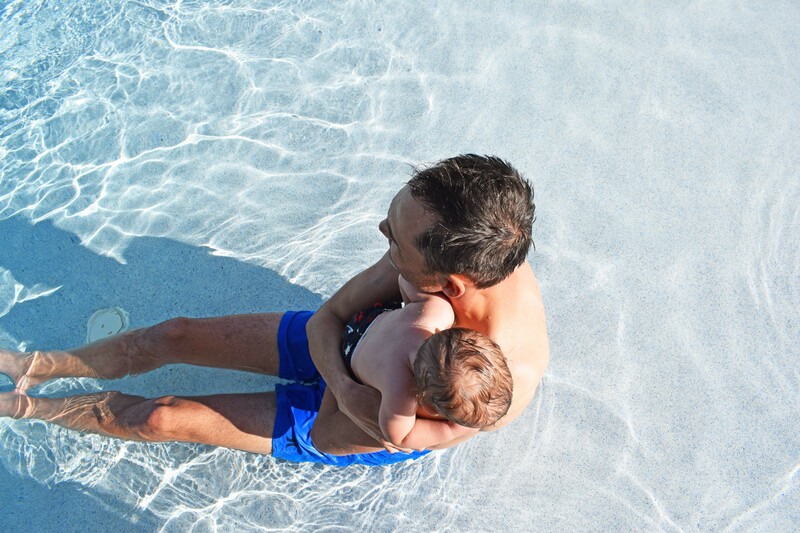 Step into the shallows of the pool, where babies and toddlers can sit and safely splash. On a budget this Spring Break? Enjoy our double queen guestrooms. More intimate than our larger beach houses, they are super comfortable and offer much more space than a standard hotel room. The surrounding gardens and pathways are perfect for strollers to soothe tired eyes to sleep at naptime. When you are ready to venture out, there is no need to travel far for further fun. Right next door to Tranquility Bay is one of Marathon’s most famed attractions, The Turtle Hospital. Toddlers can enjoy watching a variety of turtle species swim around their rehabilitation tanks during guided tours, with a behind-the-scenes look at the recovery of injured turtles. Make our beach your back yard this Spring Break and watch your kids switch off from school on their seaside escape. Keep it simple with ball games, buckets, shovels, and practicing water skills in the gentle swimmable sea, without waves. 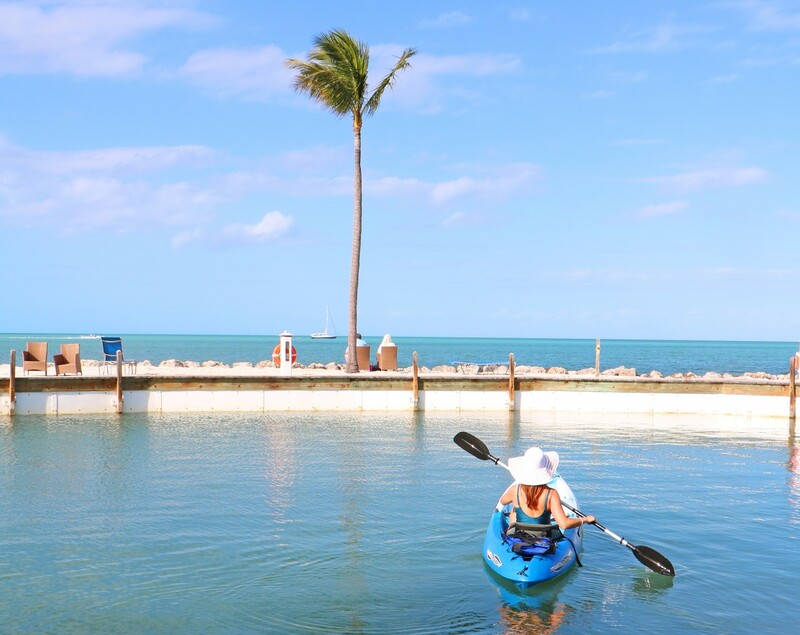 From our private dock, rent a couple of kayaks and treat the kids to wildlife spotting on an ocean adventure. Back at the dock, fuel up at TJ’s Tiki Bar with a light lunch the kids will love, including popular pizzas, hot dogs and tropical salads. Later in the day, the lagoon-style pool will keep everyone cool. Bring a packet of cards for poolside games, lounge with a good book and make a splash in one of the largest pools in the Florida Keys. If your kids are keen to learn the basics of snorkeling, our Adventure Concierge can arrange a bubble-blowing session in the pool, or even watch a scuba demo. There are plenty of attractions to explore nearby: Beyond The Turtle Hospital next to Tranquility Bay, take a short drive along the Overseas Highway to the Dolphin Research Center. Guaranteed to become one of the many long-lasting memories from your Spring Break vacation, the center offers families in-water encounters with dolphins and fascinating insight into their behavior. Marathon is also home to the exciting Aquarium Encounters. Imagine your kids returning to school with stories of stroking starfish and handling conch in a tide pool. And then there’s the amazing Spring Break story about the whole family feeding a nurse shark! Before the sun sets, get together for a private feast in your own beach house, or book a special dinner onsite at our award-winning Butterfly Café which features a Little Caterpillars menu for younger diners. Not only does Tranquility Bay suit young families, it also treats teens to a fun-filled getaway. With plenty of space to sprawl out, choose a Beach House with ideal room combinations to keep everyone well-rested. Each room features its own private balcony, so photo-loving families can capture their unique view from sunrise to sunset. Get together on the private porch each morning to plan the day ahead. We recommend starting with a classic Cuban breakfast across the road at Juice Paradise. Loved by locals and popular with guests, it’s our favorite nearby spot for a café con leche, pancakes and Spanish-style omelets. If it’s an adrenalin-fuelled adventure your grown-up kids are seeking, our onsite Turtle Island Watersports operator is here to help. Rent a Wave Runner, book a snorkel lesson, take a scuba diving class, or set sail straight from the dock to enjoy blue water offshore fishing for the whole family in the Atlantic Ocean. Big kids can chase the fun back on dry land with volleyball on the beach, or slow the pace on our sunny Nicklaus-designed putting green. While they practice their swing, now’s a good time to seek some peace at the adults-only relaxation pool right by the putting green. Hungry teens will love the menu at TJ’s Tiki Bar, featuring favorites from back home alongside the true taste of the Keys with classics including fish tacos, mahi sandwich, and shrimp salad. Treat yourselves to dinner at Butterfly Café with its breezy patio overlooking the pool, or retreat to the privacy of your Beach House. A Publix grocery store is nearby to stock up on all your family needs. Our helpful Planning Guide will give you top tips and event information for Spring Break visits, including details on this year’s Original Marathon Seafood Festival on March 9th and 10th. Discover our special offers and book your fun-filled family vacation in our Florida Keys retreat.